Monday, we meet again. Let’s hope you are nice to me today. The last few days I had a sort of adrenaline rush with getting things done. I had energy, I got a lot of stuff done, I accomplished a lot of things I wanted to do. Now however, I’m not sure if it is because it is Monday and gloomy or I am feeling the crashing of my so called adrenaline rush from the past few days, but I feel so pulled down today. Which doesn’t make me look forward to the week ahead. This week I want it to be as productive as the last few days. A girl can dream, right? So its time to put on my big girl pants and get started. Regardless of how I am feeling I am determined to have a good week. The holidays are quickly approaching and I want them to go as smoothly as possible. 1. Organize calendars. I missed an event last week because all the calendars were not updated and coordinated. 2. Meal plan! And stick to it. Last week while I got a lot accomplished, cooking was not one of them. This week will be even more crazy as my kids have 3 nights of dress rehearsal for a Christmas play they are in. 3. Meal plan the holidays, and get shopping done for that! I hate having to run out day before Christmas Eve for something I forgot. I would much rather be able to know everything is done and ready so I can fully enjoy time with family. 4. Get pictures with Santa. Its a yearly tradition. My boys don’t care so much for it anymore, they used to get super excited about it, but now they are more excited about missing school to get it done. Kids, they grow up so fast! 5. Quiet time. Just in that I want to make time to be with my family with no distractions, tv, phone, computer. 6. Start the learning process for Meditation. I have always wanted to learn how to meditate. It has always intrigued me, but I have never gotten around to actually doing it with any sorta of routine. I have tried to just go ahead and do it, but never actually stuck with it or learned anything about it first. 7. Read. Journal. Colour. Anything that allows me to unwind and relax. 8. Don’t be afraid to say no. Its ok. Sometimes it is needed. “No” is not a bad word, or a scary word. 9. Push past my comfort zone. This is a tough one so it will be my goal for a long time, but I hope to accomplish it and keep going. 10. Organize my desk and work area. I bought some new organizational things, now I have to actually set them up and use them. What do you hope to accomplish this week? Balance? Is It A Myth? 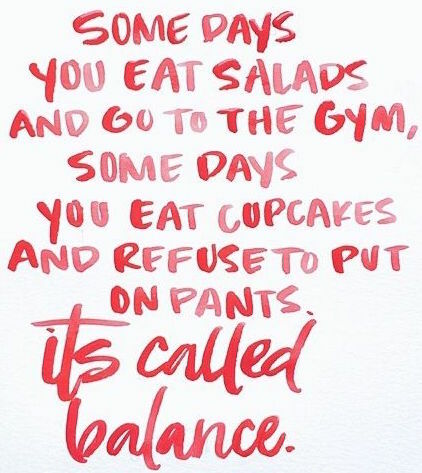 Lately I am determined to find balance. To find out if balance is even real. Or to find a way to live without and still function and be okay. See the thing is I thrive on a schedule, a routine. To keep my stress and anxiety at bay I need do everything on my list, which is a lot. I have been trying to find balance since the day I become a mother. It has been a long journey. Some days I feel I have found it. Some weeks it seems I am on a roll with it. And then eventually it all comes crashing down. I need to accept that it is life. That it is ok to not accomplish all the things. But still a very stubborn part of me wants, no, craves balance. The idea of balance is intriguing to me. A part of me knows it is a myth, but I still want it. I want to at the end of the day feel like I have accomplished it all, not just enough, but all. I do not just want to just get by, I want to do it and succeed at it. I want to go to bed at night and not stress about all the things still left to do that I didn’t accomplish that day. Maybe I put too much stress on myself? Expect too much to be done in a single day? Maybe I need to stretch out my daily to-do list to a few days or a week? Limit my to-do list to make it more realistic? So this week I will attempt to limit my to-do list each day. I will set a timer when doing a task, and when it is done I will walk away and move on. Or at least try to. Either way I hope I find the elusive balance, or find a way to let go and thrive in the chaos. Maybe that is the true secret, how to thrive in chaos? How to keep going no matter what? How to enjoy the ride while still focusing on the end goal? How to let go, let be, and still get your stuff done?